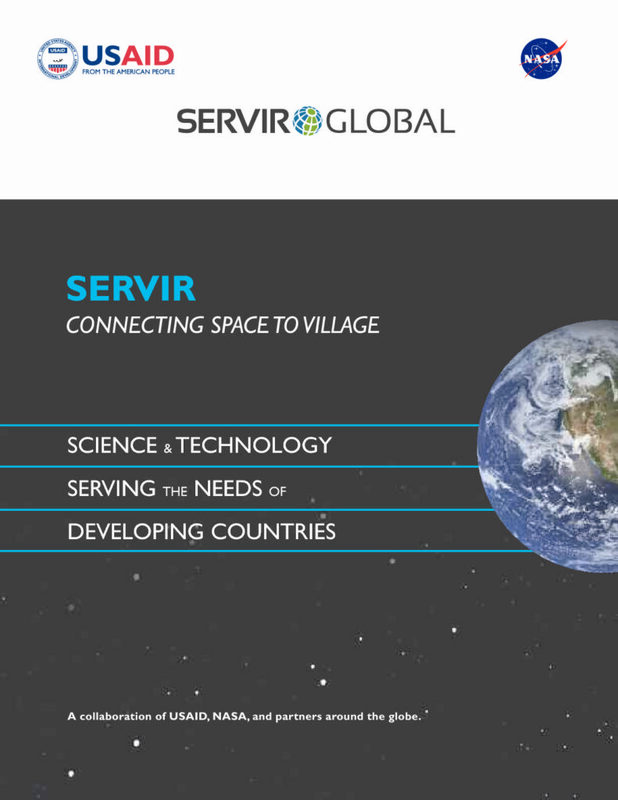 SERVIR connects space to village by making geospatial information, including Earth observation data from satellites, Geographic Information Systems, and predictive models useful to developing countries. SERVIR is a joint development initiative of NASA and USAID, working in partnership with leading regional organizations around the globe. SERVIR helps those most in need of tools for managing climate risks and land use.